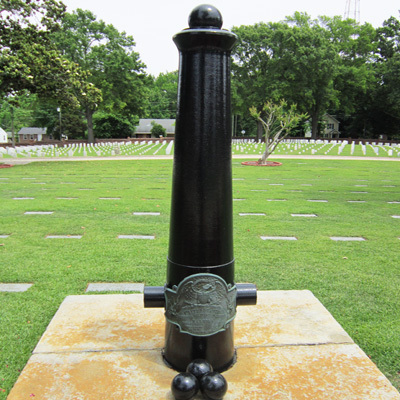 Description: A large cast-iron seacoast cannon, set upright on a stone base. Upon it rests a shield shaped plaque which lists the number of known and unknown dead at the cemetery. 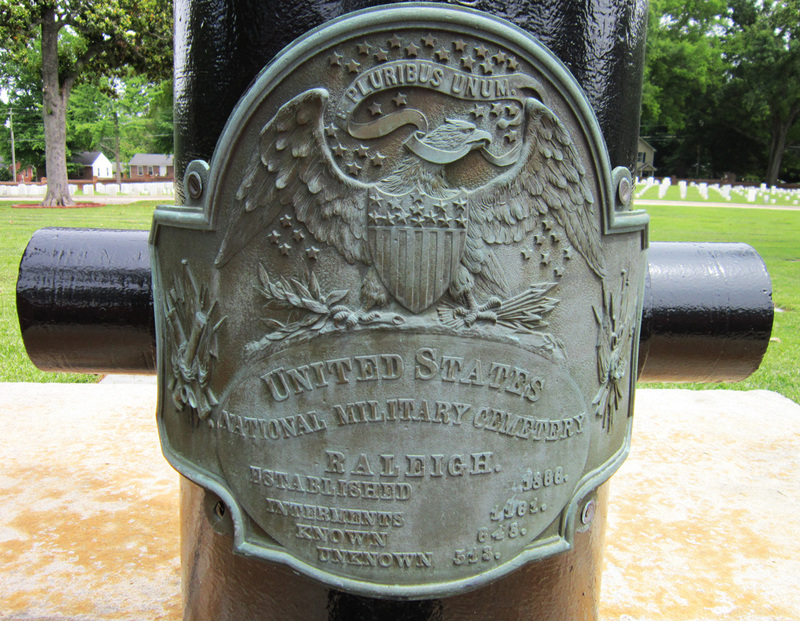 These plaques were placed in National Cemeteries in the 1870s.